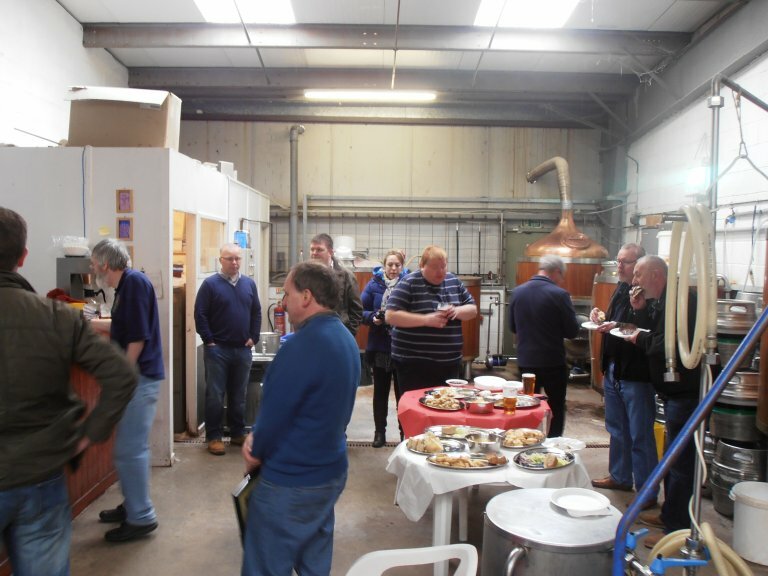 The Branch has developed a tradition of members travelling all over the country to make beer festival awards in person, Following the Eastbourne Beer of the Festival (Sussex Exemption) 2013 being awarded to Pictish Brewery for Brewer's Gold, six branch members set of for Rochdale on 22nd March. Meeting on the 0830 train from Eastbourne, Bill, Howard and Peter from St. Leonards and Chris, Ian and Peter from arrived at Euston before either the Bree Louise or the Euston Tap had opened; fortunately the only bit of bad planning of the weekend. We were met off the train at Rochdale by local CAMRA member and Pictish Brewery Liaison Officer, Graham Chinn, who warmly welcomed us to Rochdale and guided us straight to the brewery where another warm welcome awaited. Brewer Paul Wesley and some of his family were pleased to serve us beer and provided an excellent buffet, which they insisted were both 'on the house'. 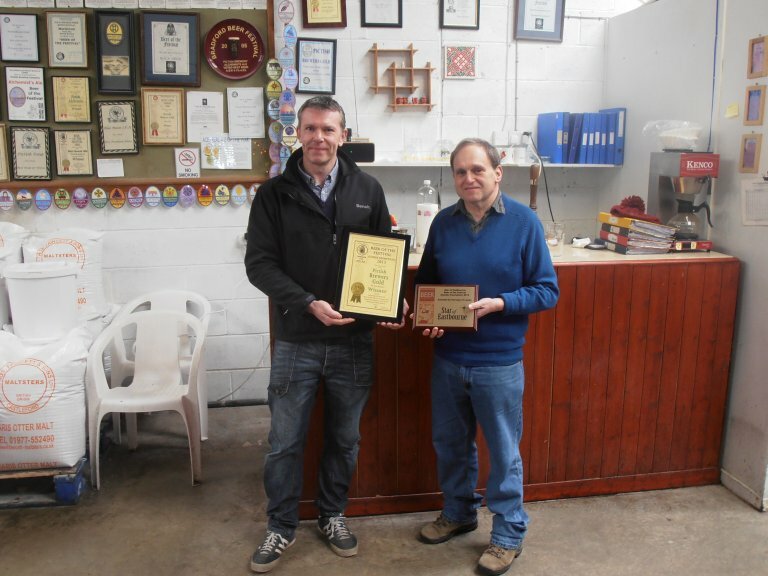 After the award was made, Paul revealed that he had only taken over the brewery less than a year before, his predecessor had won many awards which were displayed on a wall, but this was his first. We discussed the business of being a small brewer, in particular Paul emphasised the need for vigilance over quality control; the effect of one bad cask in a pub would take much time and effort to recover reputation. After much beer and chat, Graham took us to the centre of Rochdale where we visited the current CAMRA National Pub of the Year, the Baum, later we were joined by Paul and his wife, just as a cask of Brewer's Gold was started. Graham kindly showed us the location of various Rochdale Good Beer Guide pubs, before the Rochdale folk departed for home, leaving us to try more beer. Our hotel was located three tram stops from Rochdale, the next morning we used the tram to get back to central Manchester, where we were able to visit a couple of pubs before returning to Euston. Happily this time we found the Bree Louise open and were able to have a pint together before making our separate ways to Charing Cross and Victoria. We are all grateful for the time, welcome and hospitality given freely by all the people we met in Rochdale. CAMRA and beer have once again brought people together through their common interest. 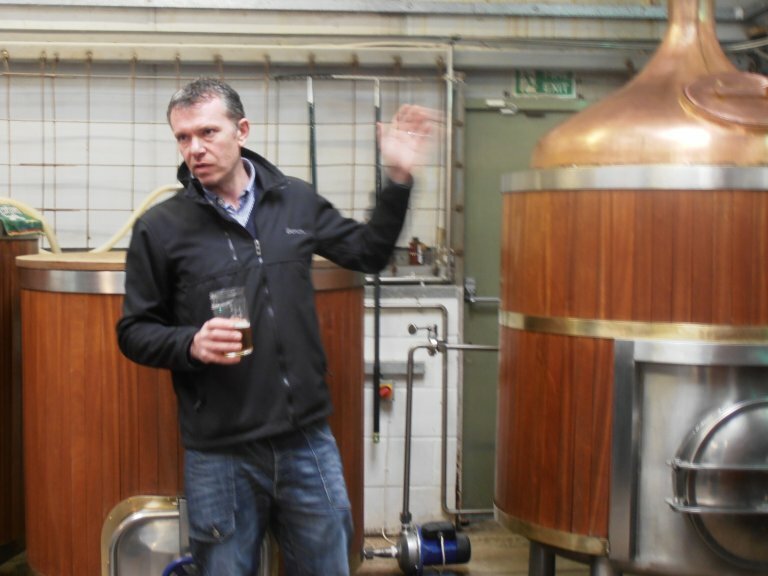 The pictures show the presentation of the trophy and a CAMRA certificate, Paul the brewer in full flow, he moves hid hand constantly and rapidly when making a point, and a general brewery scene.